The 2011 Proskills Awards Ceremony will be held at Alton Towers on 3 November, highlighting the achievements of apprentices like Arron Clegg. At the tender age of 20 Arron already has some big plans for his specialist energy efficient window installation company, writes Proskills CEO Terry Watts. Proskills have received hundreds of entries from a wide range of employers, learners, apprentices and training providers, demonstrating all that is best about the process and manufacturing sector. The entries have revealed the dynamism and technical knowledge of people working in the sector, qualities exemplified by Arron Clegg, who has been nominated for Advanced Apprentice of the year. 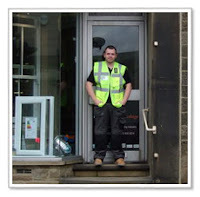 Arron launched Sashes of Distinction, an energy efficient window and door specialist based in North Yorkshire. Graham Wilde head of Assessment and Training at the Fenestration College writes ‘’It’s about time that the Glass Industry had something good to shout about, we know only too well the reputation that our Industry has attached to it. Not only does Arron have a passion for excellence, having worked alongside him on high profile installations, his attention to detail has to be seen to be appreciated. He has a fantastic understanding of BS 8213-4 and ensures that all his Installations are compliant in every respect; he has already started the process to have Sashes of Distinction as a BSI Kitemark registered installer and hopes to have the accreditation by the end of the year. This is not the first time that Arron has ‘‘Done it for Glass’’ in December 2010 Arron won the Apprentice of the Year award at the G10 Awards held at Wembley Stadium. "Arron has picked up many new skills and safe practices throughout his Advanced Apprenticeship. His approach to the Advanced Apprenticeship is apparent in the quality of the work he does on site and in his portfolio. The depth of his responses to technical questions proved that he had put the time and effort into his research," outlined Richard Bulcock, his qualification Assessor.